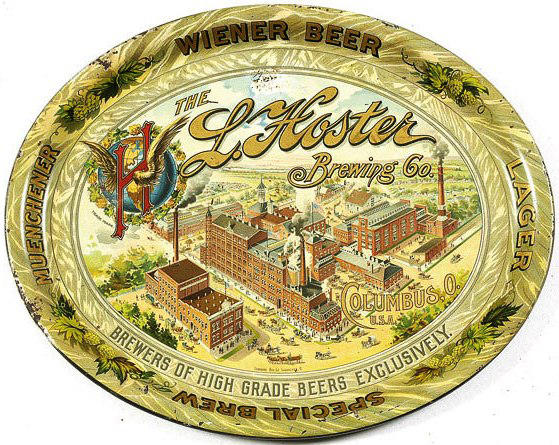 Serving Tray for Wiener Beer from The L. Hoster Brewing Company out of Columbus, Ohio. The Brewery is shown on this tray with the logo to the left. Text along the bottom states Brewers of High Grade Beers Exclusively. Values from $1,000-$1,200.